An interactive tourist and visitor map highlighting central London's main attractions, including museums, art galleries, theatres, cinemas, points of interest and more. Merritt Cartographic is an independent mapping and cartography company. We help you by producing bespoke cartographic products and custom designed interactive maps and illustrations. Our aim is to map your data in a way which is both informative and engaging. As a mapping company supplying cartographic products to businesses, charities and organisations in the public sector, Merritt Cartographic understands the importance of your design brief when producing maps for books and magazines, for use on public display panels and signposts and for deployment in interactive applications and websites. Please get in touch today to discover how the cartography and map-making services offered by Merritt Cartographic can best assist you with your project. Merritt Cartographic has produced two maps for Best Western® Hotels & Resorts - Great Britain for use in a recent promotional brochure. These maps highlight the locations of all the Best Western® hotels in Great Britain. Best Western® had been using previous versions of these maps (produced by a different supplier) in their brochures for several years. However, as their brand guidelines had changed over time and their roster of hotels had grown since the earlier maps were created, they needed a series of updated maps for use in their latest brochure. Merritt Cartographic was asked to create a new, visually appealing, design for these maps, which maintained this company's corporate identity. 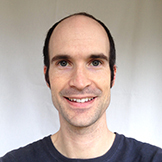 Further information regarding Merritt Cartographic's work on this project can be found here. Merritt Cartographic has recently produced a series of graphics for the Smithsonian National Museum of African American History & Culture. This is a new museum, opened in 2016, on the National Mall in Washington, D.C.. 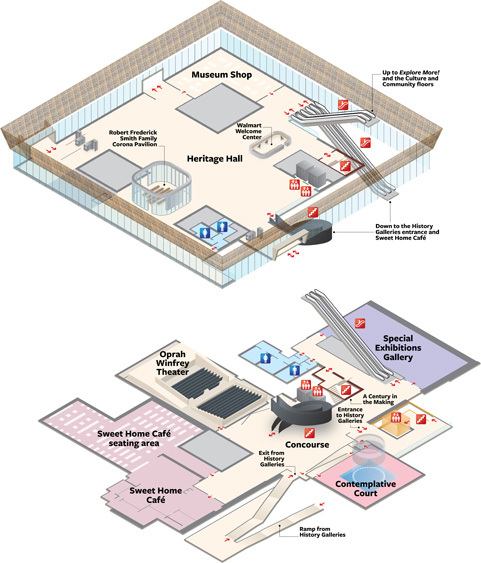 These plans were produced for a guidebook of the museum and help readers to navigate across eight floors of public galleries. These graphics have been created with reference to accurate architectural plans and are drawn to scale. It was decided that a few key 'landmark' objects and displays should be visualised with small yet detailed illustrations. This provides guidebook readers and visitors to the museum with reference points as they travel around the building. Pictorial icons have also been included to identify public facilities and access points. Merritt Cartographic produces detailed graphics and illustrations for a full range of applications and purposes. Ancient Egypt - Sites and Settlements of the Dynastic Period, is included in the 2nd edition of the North American Cartographic Information Society's (NACIS) Atlas of Design. 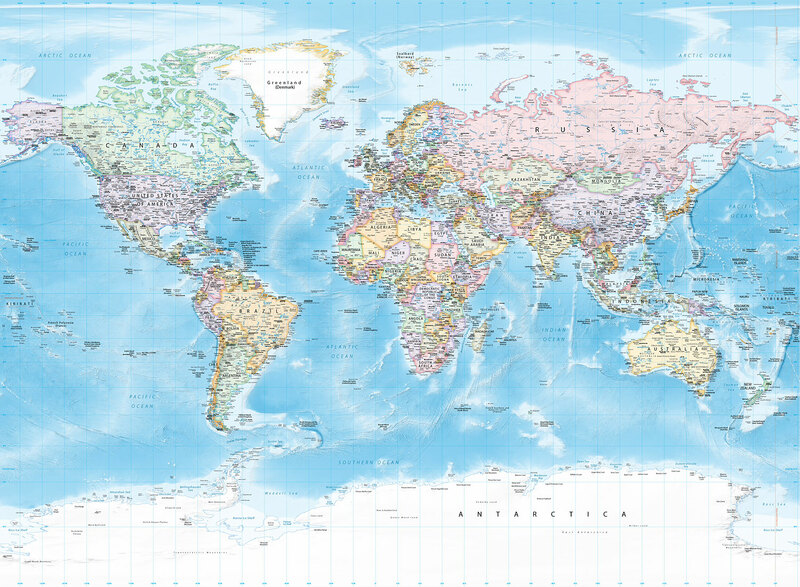 This edition is, according to the publisher, "dedicated to showing off some of the world's most beautiful and intriguing cartographic design." I was delighted, therefore, that this map, along with a short commentary describing the design process, was considered worthy of inclusion amongst a collection of 32 maps from contributors located around the world. Many of these maps have been produced by cartographers whose previous work and knowledge has provided me with a great deal of inspiration to further develop my own abilities. This map details the key settlements of the Ancient Egyptian civilisation. Also shown are many of the important Ancient Egyptian sites and temples that remain today. The various capitals are highlighted on the map in addition to the locations of the natural resources and minerals exploited by the Ancient Egyptians. The Atlas of Design can be purchased here. 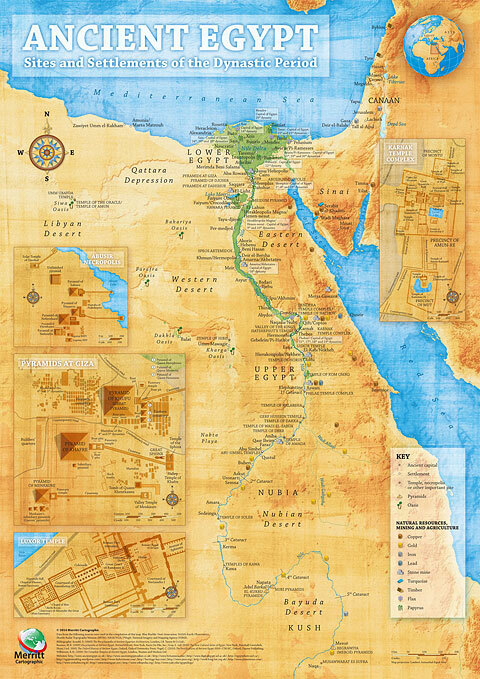 Ancient Egypt - Sites and Settlements of the Dynastic Period is available in poster form and can be purchased in our shop. 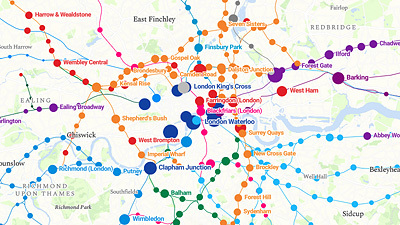 An interactive map of Great Britain's rail network. 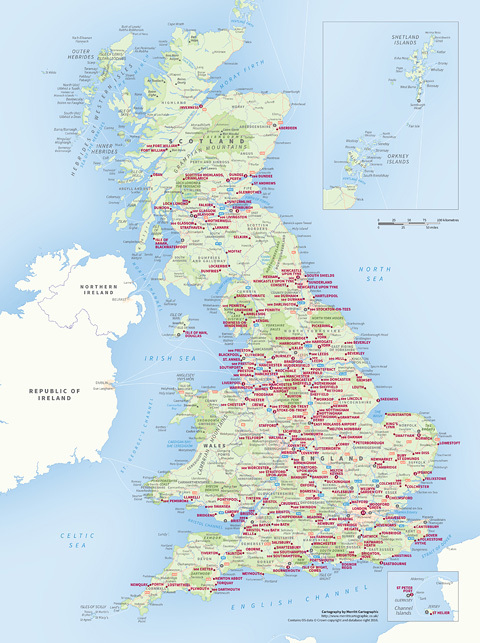 This map highlights the routes operated by each train operating company, the estimated usage of each station in Great Britain as well as a range of other statistics. An interactive visitor map for the Lower Test Marshes and Testwood Lakes. This map highlights the habitats and facilities located at these nature reserves and identifies places to view the wildlife that lives here. This map, produced for a children's book, shows the Roman Empire at its greatest extent, during the rule of Hadrian at around A.D. 117. 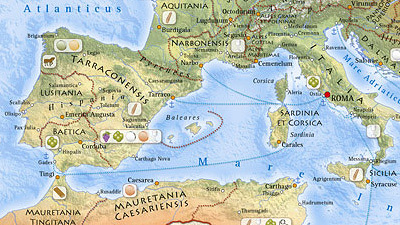 The map focuses upon the importance of trade within the empire. 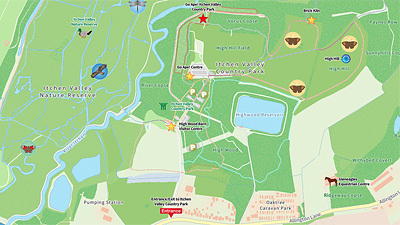 An interactive map for Itchen Valley Country Park and Riverside Park, Southampton. This map highlights the habitats and facilities found at these locations and identifies places to view the wildlife that lives here. An interactive map for Blackwater Arboretum, Rhinefield Ornamental Drive and Knightwood Oak in the New Forest. 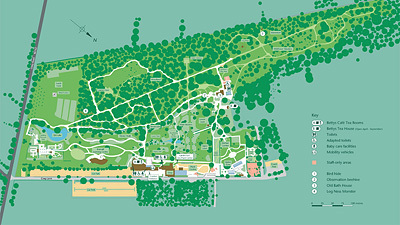 This map highlights the facilities found at these locations and identifies places to look for the wildlife that lives here. The jet streams are a series of changeable, typically undulating, currents of strong westerly winds that occur high in the atmosphere. A series of illustrations showing this meteorological phenomenon in a diagrammatic form. 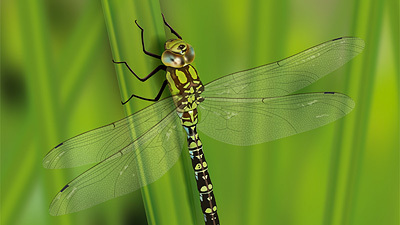 A vector illustration of a Southern Hawker dragonfly (Aeshna cyanea), showing this insect in its environment. This artwork was created entirely in a vector illustration program, Adobe Illustrator. A cut-away model illustrating the structure of the Earth. This diagram details the Earth's internal structure and shows the relative sizes of the core, mantle and crust.